Acupressure ring is made of stainless steel. Shaped in triangle spikes in a circle. 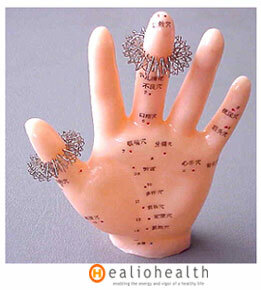 The chinese acupressure ring comes in one size fits all fingers. The traditional chinese medicine ring is durable and effective to refresh yourself.